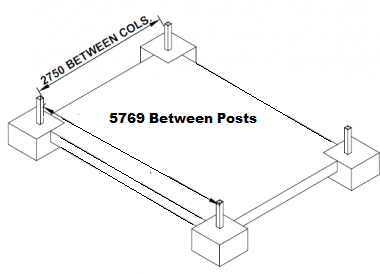 Posts: Four (4) Posts 75mm x 75mm Square RHS Steel - Posts are positioned in the corners. 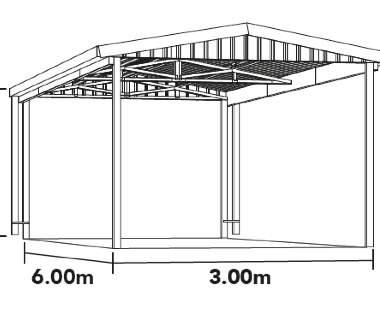 Refer to product assembly manual. 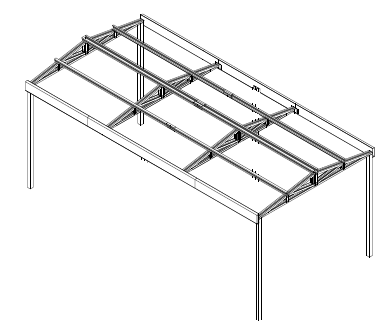 In each of these design configurations, there are various options. 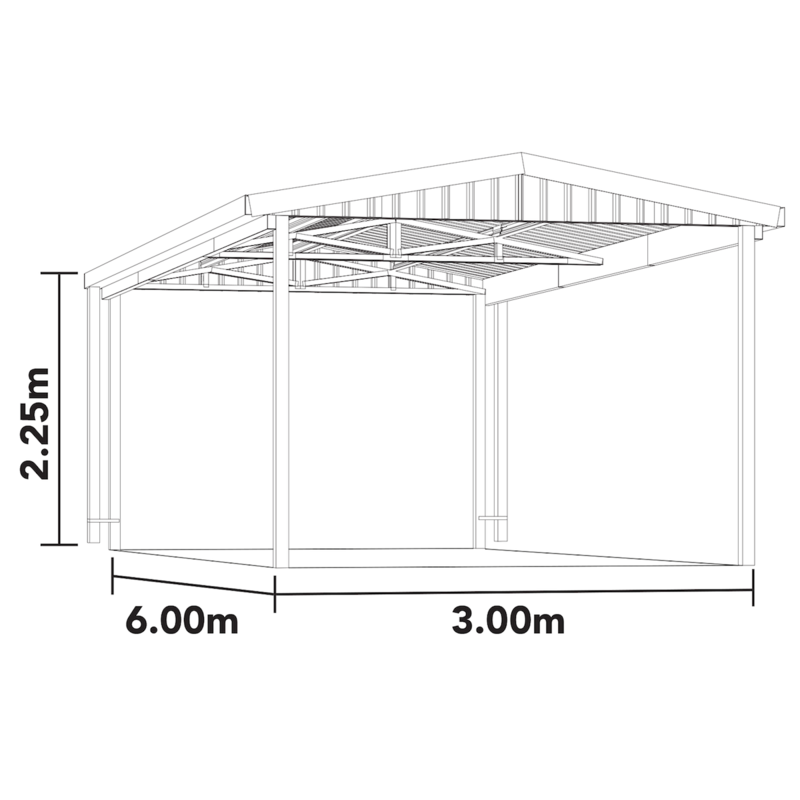 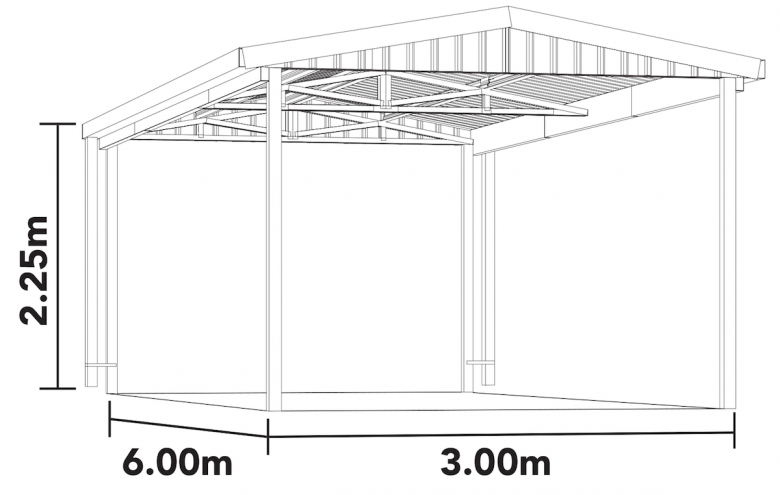 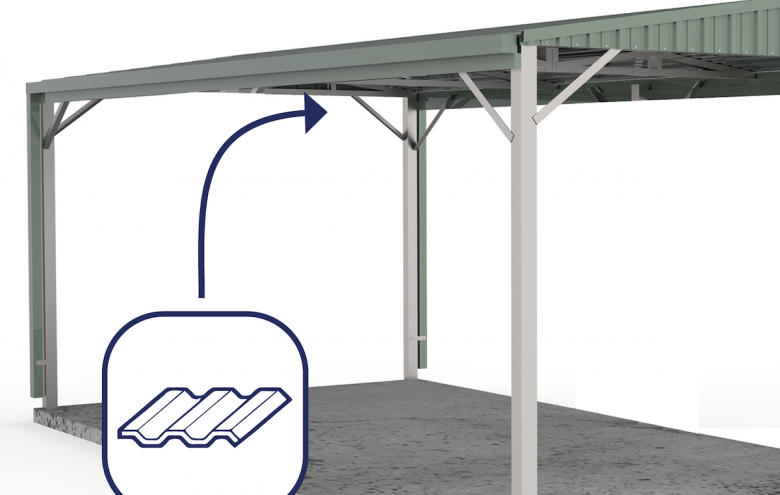 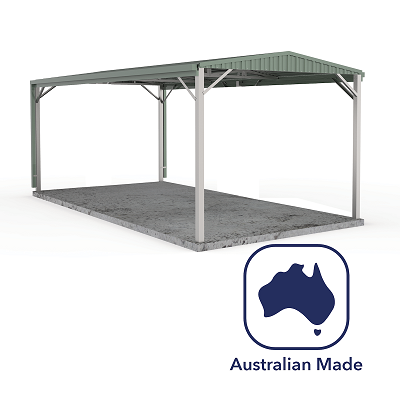 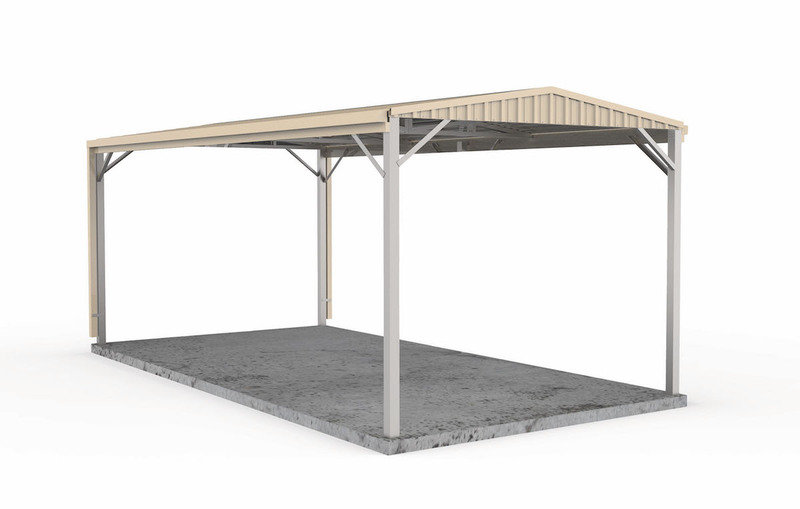 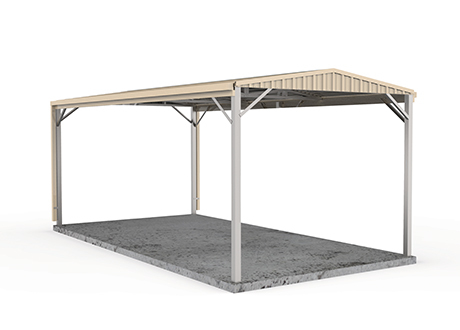 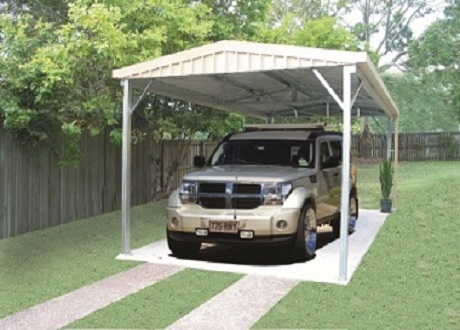 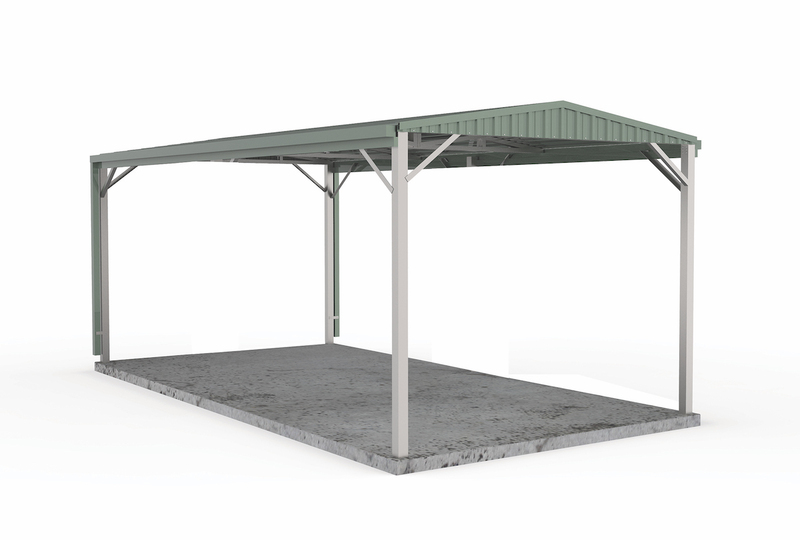 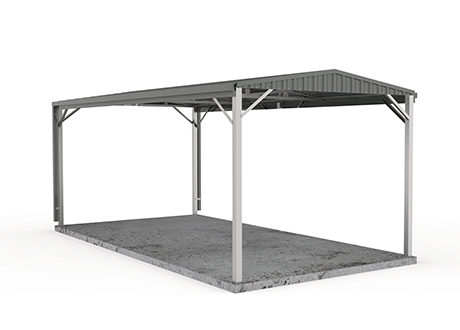 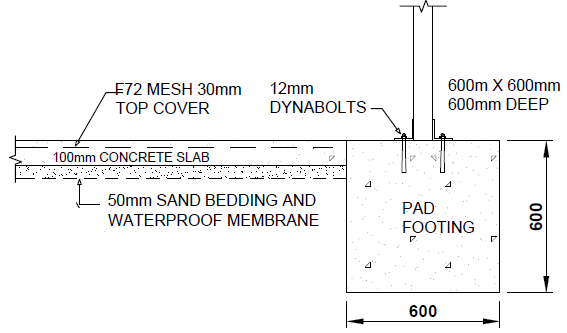 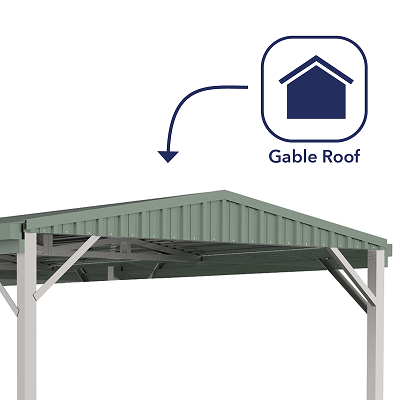 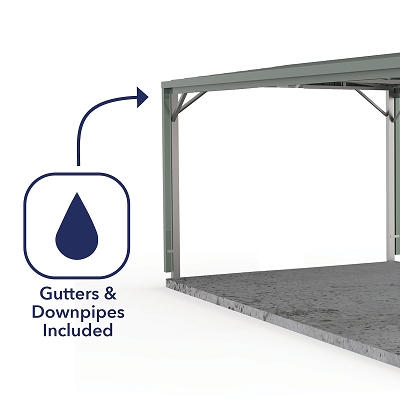 There are the single carports & the double carports, and each of these are offered in different wind rating compliance categories (including Cyclonic W50 [C1 & C2] dependant upon specific models) – to ensure that the Absco carport range has >95% of Australia covered.